The AO Original Pilot Sunglasses are standard-issue to all branches of the US Military and have been a favorite of military pilots and aviators for more than 50 years; engineered to rigid military specs and features True Color gray lenses. Made in the USA. Join over 125,000 US Wings Fans! 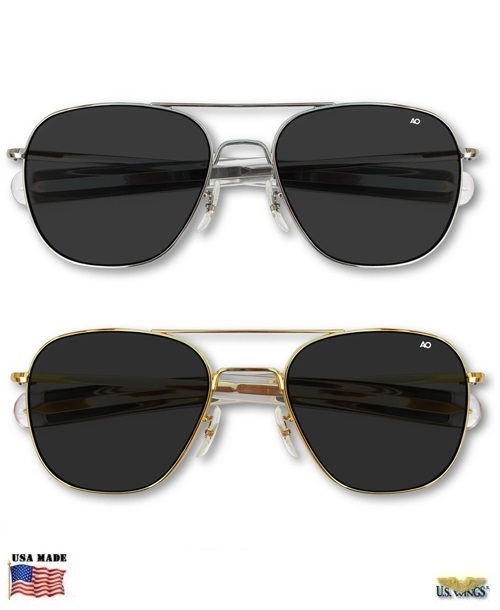 The Original Pilot Sunglasses, from American Optical, are performance tested but with that classic aviator styling. They are standard issue to all branches of the US Military. 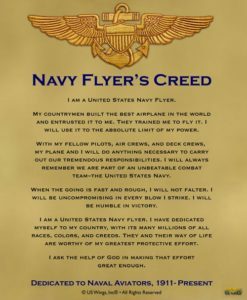 A favorite of US military pilots and aviators for more than 50 years! 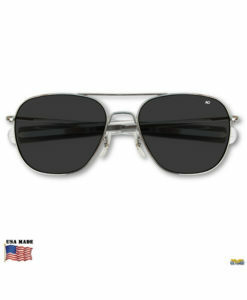 Engineered to rigid military specs and issued to millions of US soldiers, sailors, marines, and airmen since 1958. Makes a great gift for any sunglasses wearer. Special pricing. Made in the USA. The AO company began in 1826. William Beecher came to Southbridge for an apprenticeship in Providence, RI. This is where he learned the jeweler’s trade. In the years of this trade, he encountered with a pair of typically crude imported spectacles. He decided that he could do better. During WWII, AO led the industry with new optical products. They supplied the US Government with new products; gun-sights, bomb-sights, AR glass, aviation goggles, and instrument applications. The Flight Goggle 58, known as the Original Pilot Sunglasses, were also produced for the US military. It provided pilots with protection, optical performance and comfort. They were the first pair of sunglasses to be on a mission to the moon. Also featured in the Smithsonian Air & Space Museum in Washington DC. I received my exchanged cotton pilots jacket today. I am so impressed with your customer service. 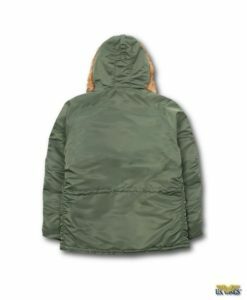 Despite the fact that the mistake was mine, you guys jumped right in and replaced the jacket with the correct size in a week and a half. Wonderful! Thank you for this level of service. 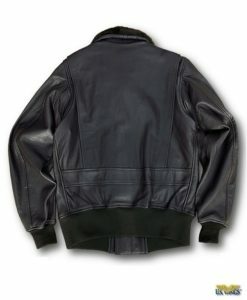 Everything I have purchased from US Wings exceeds my expectations, from the leather jacket to the AO pilot’s sunglasses to the cotton jacket and top it off with outstanding customer care and service assures that I will be a customer for a long time. I received Orig. Pilot 57 mm Gold and a free USCG baseball cap via UPS this evening. As usual very fast, well packaged delivery. Product as described. Thanks again. I want to report that I received the order (Original Pilot Sunglasses) on time and in perfect condition. I was extremely satisfied with the service provided by US Wings. Excellent work!!! Just received my AO flights glasses. What a treat! More than I expected. I apologize for the question and answer part of my phone order: Are they AO manufactured? Are you sure they have bayonet templates? Are they made to original mil spec, even close to mil spec will be great. Are the pictures the real product? Shame on my skepticism!!! I had my previous pair of glasses since my Civil Air Patrol days, about 30 years ago and when they finally gave out I was distraught over the replacement costs I was quoted. You came through with flying colors. My OP55G glasses are perfect and exactly what I wanted. Thanks for a great product, not to mention a truly great price. Read “Welcome Home” last night and enjoyed it greatly. US Wings is an official DLA supplier. US Wings is a proud supporter of the Purple Heart Foundation. 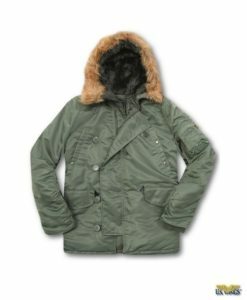 US Wings ® provides aviation apparel to the U.S. Government and commercial customers along with the general public. We are a woman-owned small business and Veteran-owned incorporated in Ohio. Keep in Step with US Wings – Join our newsletter to receive all our latest news and offers. Copyright 2019 © US Wings Inc.